This article describes how to clean the glass surfaces and mirrors. The following procedures can be used for any surface. Mirrors and glass windows are dirt magnets even if you clean them often. In addition, as well as cleaning these surfaces, the result never seems satisfactory because the glass never seems completely clean. This tells us that we must use the appropriate cleaners for these types of surfaces. Certainly a piece of cloth and water are not enough to ensure cleanliness in your mirrors and on glass surfaces. All you have to do is think a piece of cloth or a napkin with a little water can adequately clean the glass windows of your space or glass furniture, showers and mirrors? The answer is no, because it is certain that this way of cleaning will leave fluff or streaks of dirt that will hardly leave the surfaces you want to clean. What you need is a microfibre cloth or a squeegee or a special cloth to clean these surfaces. Even the newspapers are excellent for cleaning mirrors and glass surfaces. You do not have to worry about how the ink will leave stains in your mirror or glass as they do not absorb the ink, but rubbing the newspaper on the frames should be avoided. Read on to learn how you can easily clean glass surfaces and mirrors in your home in just a few steps. Mirror cleaning and generally on such surfaces can be done quickly and easily, taking care of some important things before you start. If you are cleaning windows, towels should be placed on your window sills, especially if your windows have wooden sills because the cleaning solution is harmful to the wood. One of the best «recipes» for cleaning glass surfaces and mirrors is the mixture of white vinegar and water at a ratio of 1: 4, that is a part of white vinegar and four parts of water. Depending on whether you put the cleaning solution in a bowl or spray bottle, apply it to your cleaning cloth. Spray it or dip the cloth and wring it to remove excess solution. However, if the surface you clean is too large, spray the mixture on the glass or the mirror. When cleaning the surfaces, initiate circular movements to rub the surface and remove all dirt residues in difficult areas. Next, make horizontal and vertical movements to completely clean the glass and make it shine. Use cotton swabs or toothbrush to clean edges and corners. 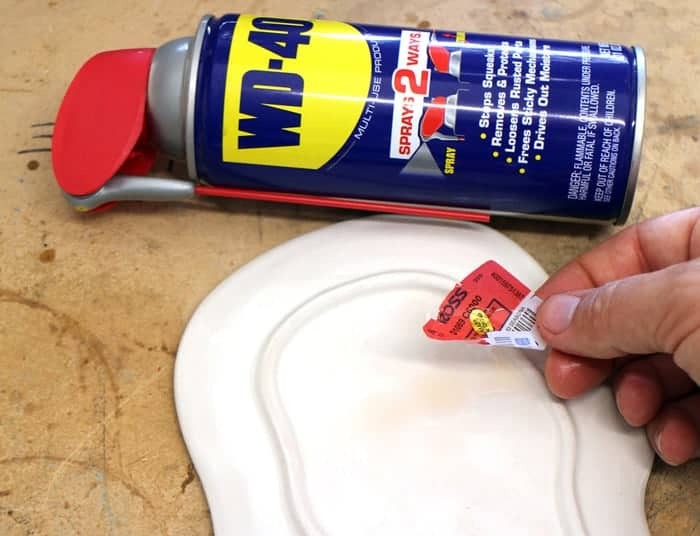 This ensures that there is no residue or dirt left in the surface corners. Finally, use the newspaper to clean the surface completely and get rid of any remaining traces of dirt. In this case you can still use any old cotton fabric (eg old cotton shirt). 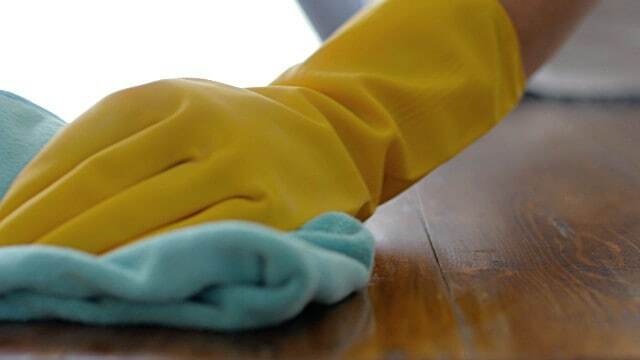 To clean highly soiled glass surfaces, you should start using a microfiber cloth soaked in a cleaning solution, whether you purchased it from a store or made it yourself at home. Once you clean it in this way, refine the cleaning with a newspaper. If you want to buy a commercially available glass cleaner, it is best to use an ammonia-free product. Make the mixture and store it in a spray bottle. Refold well before using it. TIP : If you want to clean a glass table, spray a little lemon juice and then rub the surface with a newspaper. Be careful not to rub too «aggressively» in order not to scratch the surface. However, even this can be avoided by using a small amount of white toothpaste. In addition to the solutions mentioned above, there are a number of alternative mirror cleaners and glass surfaces that you can use. Borax is a great alternative to cleaning your mirror. Take 2 tablespoons of Borax and mix in 3 cups of water. Use a microfibre cloth and immerse it in the mixture you have made to clean the surfaces you want. Still a very effective and alternative way of cleaning glass surfaces and mirrors is shaving foam. It cleans up ideally and helps to render water vapor. Use a paper towel to apply the foam to your mirror and then use a wet towel to wipe the foam. Surprisingly, room deodorants are ideal for cleaning your mirror. Just spray the deodorant into the mirror and wipe it with a microfiber cloth. 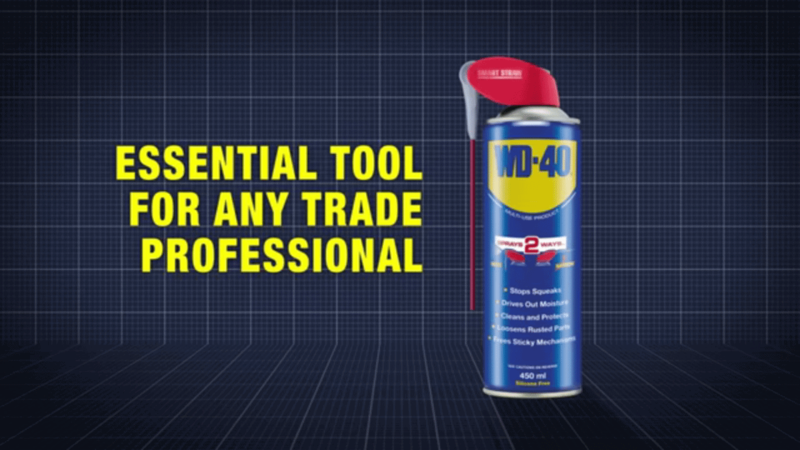 The WD-40 multi-purpose product is an excellent alternative for cleaning glass surfaces and mirrors. Removes sticky residue and coatings by making your glass surfaces perfectly clear. Always remove the product with a dry cloth.